Half of the VBC crew is currently sick, but vampire books always cheer us up. 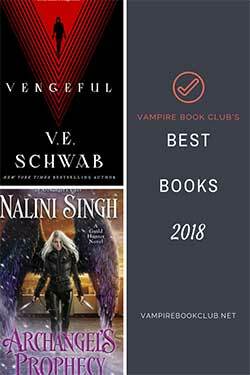 Funny, romantic, vampire books are even better. Lynsay Sands brings the laughs and the heart every single time. So for today’s Win It Wednesday, we are going to give away a copy of her latest Argeneau book Twice Bitten. While this is book No. 27 in the series (and wow, right?! ), if you aren’t caught up, it’s okay! You won’t be totally lost as there’s a break from the most recent story arc. 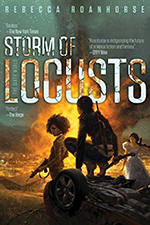 You can check out Amy’s spoiler-free review of the book, too. Wyatt fell instantly in love with Elspeth four years ago. He’s stunned to run into her again, especially as she has no memory of him. Then again, there are a lot of things about Elspeth that don’t make sense, like the miraculous speed with which her wounds heal. And the chemistry that transforms every touch into an explosion of desire. With mysterious “accidents” besieging Elspeth, the ex-Special Forces soldier appoints himself her bodyguard. But time is running out to uncover the truth about her enemies—and rediscover the man determined to love her for eternity. 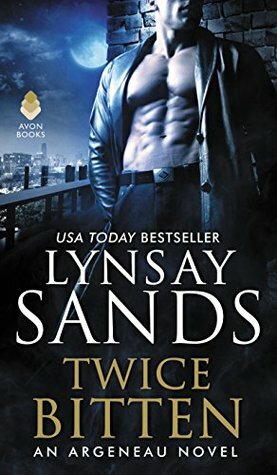 One lucky winner will get a paperback copy of Twice Bitten by Lynsay Sands. Fill out the Rafflecopter form below to enter. You do not have to share on social media, but if you do you get bonus entries. Same goes for the email sign-up, which will get you VBC stuff, book recs, and book updates from Chelsea Mueller. The Secret History of Witches by Louisa Morgan. I’m reading Empire of Storms by Sarah J. Maas. I love this series more than ACOTAR. I confess that I haven’t read Lynsay Sands yet. I know, it’s heresy. Thank you for this awesome opportunity. I am currently reading JR Ward’s The King. I am reading Dark Enchantment by Anya Bast.